I get a dressed up ride and you get some free stuff…not a bad deal! 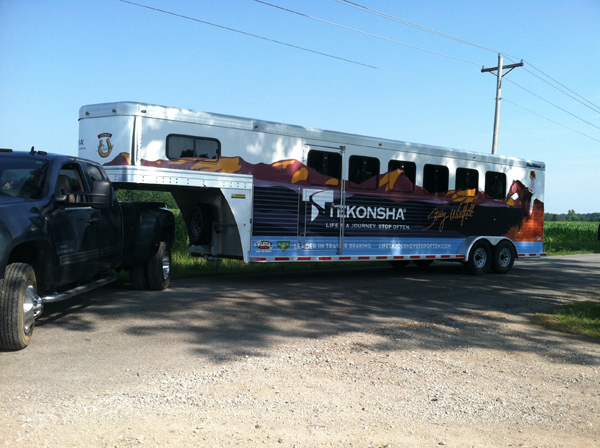 I have been working with the company, Tekonsha, who is a leader in the braking industry (you might even have their product in your truck/trailer already), to promote safe hauling of horse. The main focus of this partnership will be education, begining with a series of videos on safe trailering as well as loading the problem horse. 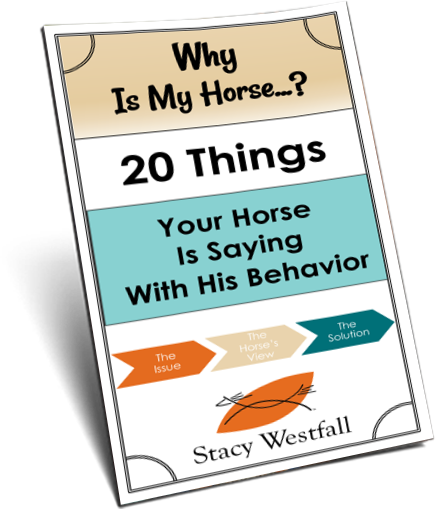 The videos have all been shot and I can tell you they contain great info on safety as well as dealing with the problem loading horse. While you are on the Tekonsha site click on “collector cards” to get a baseball style card of Stacy and either Roxy, Popcorn or Vaquero sent to you! ← Faith Walks-what a great story! 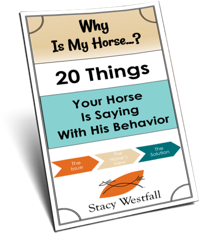 you know I never knew how that break away system worked, all i knew is I send the truck and trailer out every spring before I put the horses in it to travel and do the safety check once I hook up , and that I do not like the brakes on my truck, so I found the video pretty interesting, Thank-you! That’s interesting information. We were just thinking about looking into different brake system options, and I didn’t know anything like that was available. I hear Jesse is coming to judge our reining show in Sept, will you come too?? Could I encourage you to come and put on a freestyle ride for us Canadians. Promise you would have fun and you could reconnect with some of your fans that attended 5 Star ranch clinic. Hey Thats Great !! Nice job ! !